Introducing the new RunCam Eagle 2 Pro Camera, now with a switchable 16:9 / 4:3 aspect ratio and an integrated OSD for monitoring flight battery voltage / flight time and a Mic and for audio. If you've heard anything about selecting an FPV camera, you'd probably been told to only a get a CCD sensor. Now this is no longer the case, as the Eagle uses a 1/1.8" CMOS imaging sensor which boast a very high 800TVL resolution. 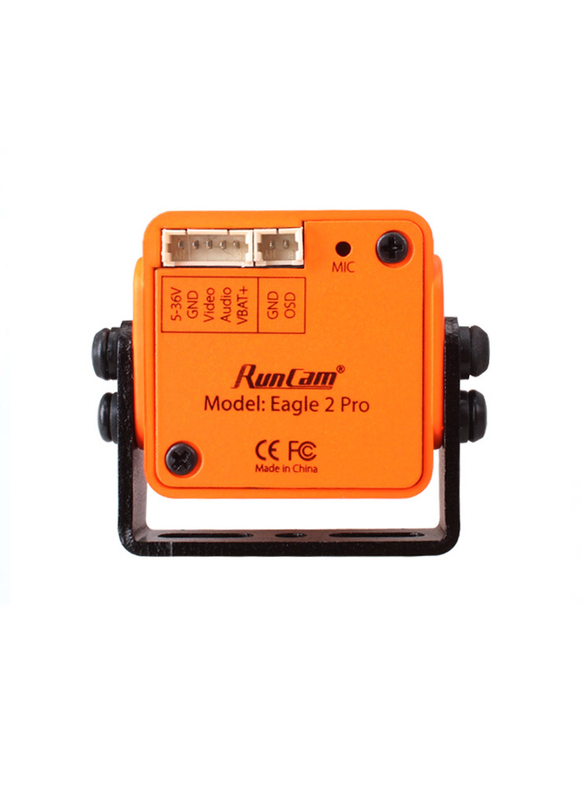 With the Eagle, RunCam have somehow managed to combine the benefits of both CCD and CMOS, whilst losing the problems faced by CMOS, namely latency and dynamic range. In fact, the stand out feature of the Eagle its global wide dynamic range (WDR). Dynamic range refers to a camera's light handling ability. With the Eagle the camera can be pointed directly at the sun and everything remains correctly exposed, furthermore light transitions from bright areas to dark are handled without issue. Its latency is also minimal, stated at 25ms, which is fine for even FPV racing. The Eagle used to be availiable in either a 4:3 or 16:9 aspect ratios. The new Pro Eagle now offers a switchable aspect ratio so you can change it as and when required. A 4:3 aspect ratio is traditional for FPV cameras, while 16:9 is suited to widescreen goggles like the FatShark Dominator V3 and Headplays. 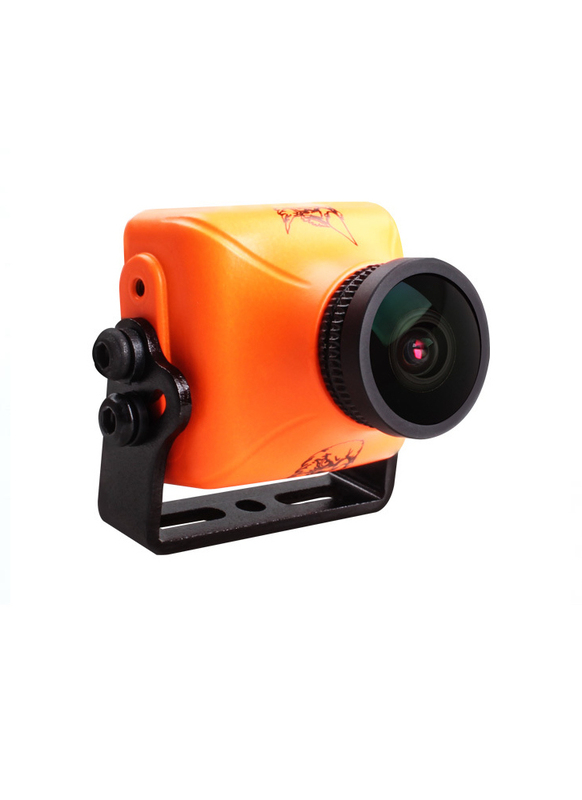 The RunCam Eagle has a wide 5 to 36 Volt operating voltage, which makes it plug and play compatible with most FPV transmitters.